The clubof.info Blog: US Black protesters to receive weapons? Writing at the Center for a Stateless Society (C4SS), analyst Ryan Calhoun praised an initiative by a local chapter of the Oath Keepers militia to arm protesters in Missouri with assault rifles. The Oath Keepers are a decentralized militia in the United States who conform to a libertarian interpretation of the United States Constitution. While Calhoun noted that adherence to the Constitution is not a perfect ideology, with the Constitution itself being responsible for some historic injustices like slavery at certain times, he noted that more faithful adherence to the Constitution may result in a better regime in the United States at this juncture. The national leadership of the Oath Keepers has continued to hold a "colonial" attitude towards its relationship with the Black communities most subjected to injustice by police forces in Missouri, seeing its role as the defense of businesses from the "rioters", as the American regime prefers to call Black protesters. The local chapter of the group in Missouri, however, has other intentions. 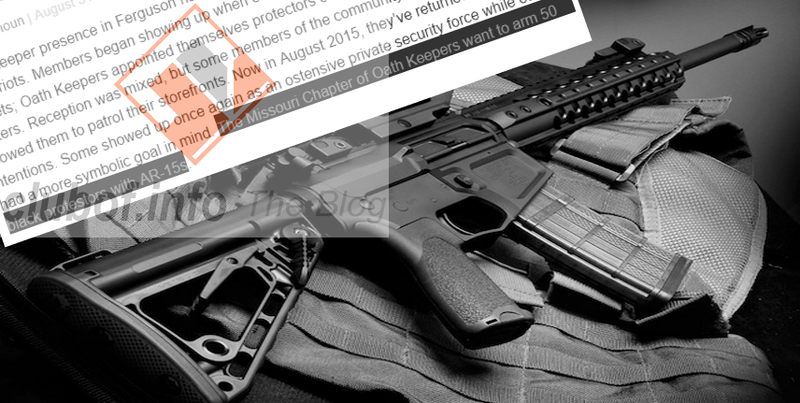 "The Missouri Chapter of Oath Keepers want to arm 50 black protestors with AR-15s", Calhoun points out, and this has caused a kind of schism within the Oath Keepers, as the chapter would prefer to arm the Black community and enable it to defend itself from police brutality rather than simply backing up the police state for the sake of protecting businesses. Calhoun praised any move to arm the police-occupied Black community for the purpose of "handing over the power of a rifle to men and women who we, as a society, have stripped of the right to self-determination". Whether or not the Missouri Chapter's efforts succeed, the next time the US police state tries to forcibly suppress protests, the regime might not just have to watch out for Black protesters but for militias of all races who recognize the plight of this minority and its need for armed defense.